Fresh from their exhausting trips to National Pro Wrestling Day, Robert and Danielle try to get a different perspective on the events of February 2nd by interviewing a man at the heart of the destructive Devastation Corporation, Max Smashmaster. It…does not go quite as planned. Missed National Pro Wrestling Day? Get caught up here for FREE while you still can! 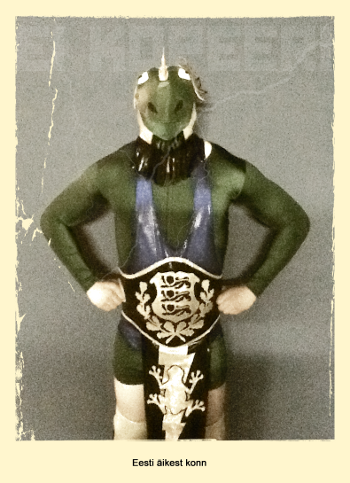 There are few wrestlers – human, goblin, arthropod, Dan Barry – that we here at the Mandible Claw love more than the Estonian Thunderfrog. He’s back to talk Wrestlings Are, that awful, awful Polar Baron, and the loss of something near and dear. 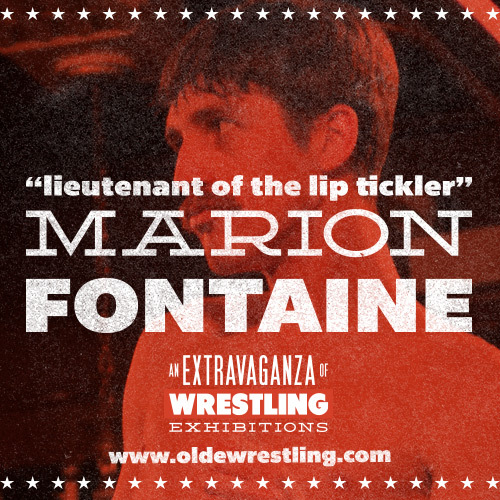 Dapper young gentleman Marion Fontaine joins Danielle and Robert to discuss An Extravaganza of Wrestling Exhibitions, horse oil, and Danielle’s many, many, many allergies. But thankfully, mostly wrestling. Pictured with Charles the Fox and his tiny paws. Robert and Danielle are joined by Jervis Cottonbelly and, somehow, Danielle manages to make it through the entire thing without exploding into bits of heart-shaped confetti. 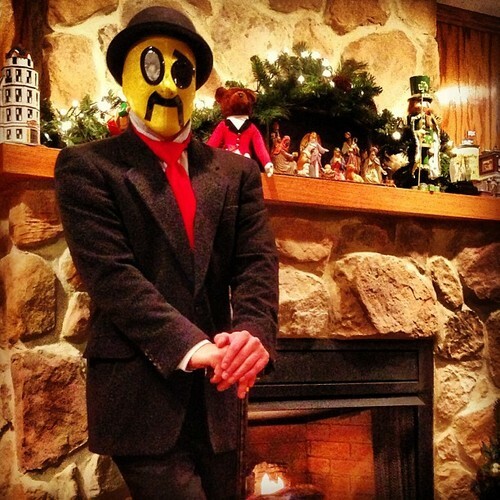 The World’s Sweetest Man lives up to his title as he discusses the Wrestling is Awesome 16-participant tournament, his bow-tied but unsavory opponent in Juan Francisco de Coronado, and, of course, The Estonian Thunder Frog. Tread lightly with us, won’t you? Robert and Danielle sat down to podcast with The Estonian Thunderfrog for Wrestling is Awesome and Wrestling is Art, entirely not knowing they were about to embark on a magical journey of wonder and maybe also horse meat? If you don’t completely adore the Thundergod after this, I don’t even know what you’re doing with your life. Danielle and Robert sit down with New England native Frank O’Rourke to discuss his upcoming matches in both Wrestling Is Awesome and Wrestling is Art. Mr. O’Rourke has some strong words for his opponents, and, maybe, a few for Robert as well.